CARLISLE, Pa. - May 23, 2016 - PRLog -- Trans Am Worldwide is a Florida-based company that made national news earlier this year when it unveiled its plans to design, create and sell 77modern day Camaro's that are transformed into one of the most popular cars of all time, the 1977 Bandit Trans Am. Of course, the Pontiac brand is long gone, but what they've created is a masterpiece and one of those 77 will be coming to the Carlisle GM Nationals, June 17-19. What started as a humble vision in the mind of a young graphic designer from Canton, Pennsylvania a few short years ago, has grown into an internationally recognized and quickly growing automotive conversion company that designs, creates and ships retro-styled cars all across the globe. Starting as Trans Am Depot, LLC in 2011, brothers Tod and Scott Warmack and partner Jim Dowling of Tallahassee, Florida collaborated with graphic designer Kevin Morgan to bring to life the vision of a modern day Trans Am. To that end, the team secured exclusive rights to the Trans Am brand and began to build cars for the public. These new "Bandit Edition" Trans Ams are the first official replicas of their type to be available for purchase. Others companies have designed and showcased tributes like this, but never before has a company like Trans Am Worldwide been able to officially produce Bandit themed cars. Best of all, these cars are actually endorsed and autographed by the legendary Burt Reynolds and even feature his bandit image as part of the car's interior. The "Bandit Edition" includes the Bandit logo and Bandit insignia, an impressive 840 horse power engine, snowflake wheels, the classic "screaming chicken" on the hood, has available t-tops and tons of other unique touches to help complete this awesome combination. Again, the car coming to Carlisle is just ONE of 77 cars produced. Needless to say, this is a car everyone coming to Carlisle should want to see. 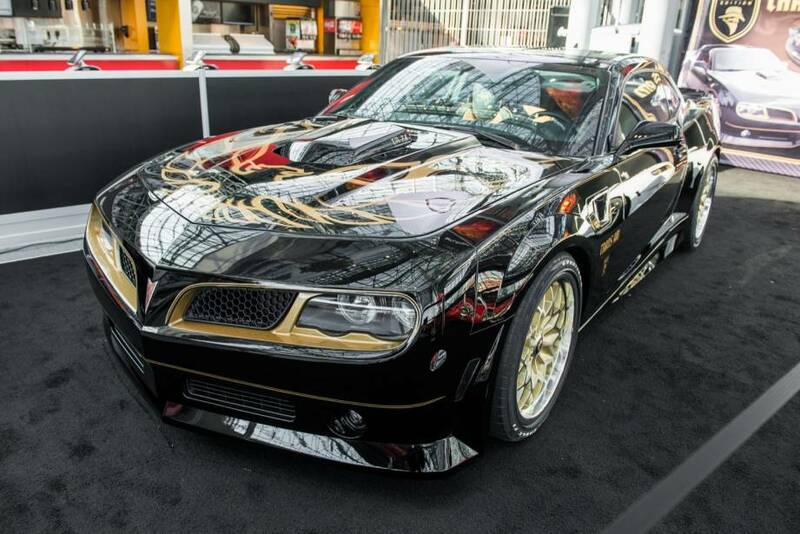 The "Bandit Edition" Trans Am will be on display at SLP's Midway booth throughout the weekend and everyone is invited to pop by and take a peek at this special vehicle, chat with the team at SLP and of course snap a photo of this instant collector car. This car is just one of many unique rides showcased at the Carlisle GM Nationals in 2016. This year's event features a special Hurst/Olds showcase, a Toronado gathering, the one and only Fouranado (a hybrid Olds 442 and Toronado concept built by Hurst), designers, engineers and more. The weekend also embraces dad with a special Father's Day Sunday theme branded as Dad's and Doughnuts. This unique offering welcomes the Predator Monster Truck for rides, Duck Donuts and families to Carlisle to enjoy a day at one of the most popular GM shows in the region. Finally, over 100 years of GM history is featured on the NPD Showfield, with show cars ranging from early 1900's production to modern muscle with the 6th generation Camaro. Details about the show are available at www.CarlisleEvents.com.